Captain Ted Charles, owner of the Skipjack Pilgrim, is considered by many to be the most experienced owner-operator of commercial sailing charters on the east coast, sailing extensively from Martha's Vineyard to the Caribbean. Since the mid 1960s, Capt. Ted has owned and operated commercial charter vessels from ports such as New York's City Island and South Street Seaport, Miami and Key West, and throughout the Leeward Islands in the Caribbean. 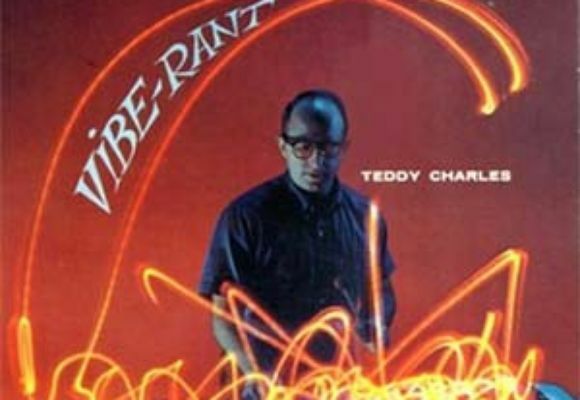 Ted was formerly the owner and Captain of the Schooner Mary E.
Aside from his distinguished maritime experience, Teddy Charles is considered to be one of the great jazz vibraphonists and composers of all time, playing with such jazz legends as Charlie Mingus, Charlie Parker and Miles Davis. As a student at Julliard in the mid 40s, he haunted New York's jazz clubs, occasionally sitting in with the bands on vibes or piano. His break came unexpectedly one night when he was asked to sit in on piano with Coleman Hawkin's band for the overdue Thelonious Monk. Soon after, Charles began to appear regularly with the top jazz groups of the day, Artie Shaw, Benny Goodman, Buddy De Franco, playing alongside and writing for such jazz stars as Coltrane, Parker, Max Roach and Miles Davis. Recently appearred with Max Roach, David Amram, Lee Konitz. In the early 1950s he began leading his own groups, composing, producing and recording original works such as No More Nights, Blues Become Elektra and Word from Bird. When jazz's popularity began to fade in the 1960s, Charles took a break from the music world to follow the other great love of his life: the sea. He left the icy streets of New York and headed for the balmy Caribbean where he sailed the famous Golden Eagle, formerly owned by DuPont, and became one of the pioneering American charter boat skippers in the Caribbean. He later bought and restored the derelict Tiki, the famed 85' schooner from the 1950s TV series "Adventures in Paradise," and began running a charter service out of Martinique. Returning to New York after spending a decade in the Caribbean, Capt. Charles became the owner of the famed Seven Seas Sailing Club of City Island. In 1973, he bought and restored the Mary E, and in 1990 brought her to her present home port of Greenport. Teddy now operates the Skipjack Pligrim out of Greenport, NY.